A Day of the Dead Face Mask including a full face white Mask with a black sugar skull pattern and elastic strap – Ideal for Halloween! This fantastic Day of the Dead Face Mask comes complete including a white full face Mask with a black sugar skull design. 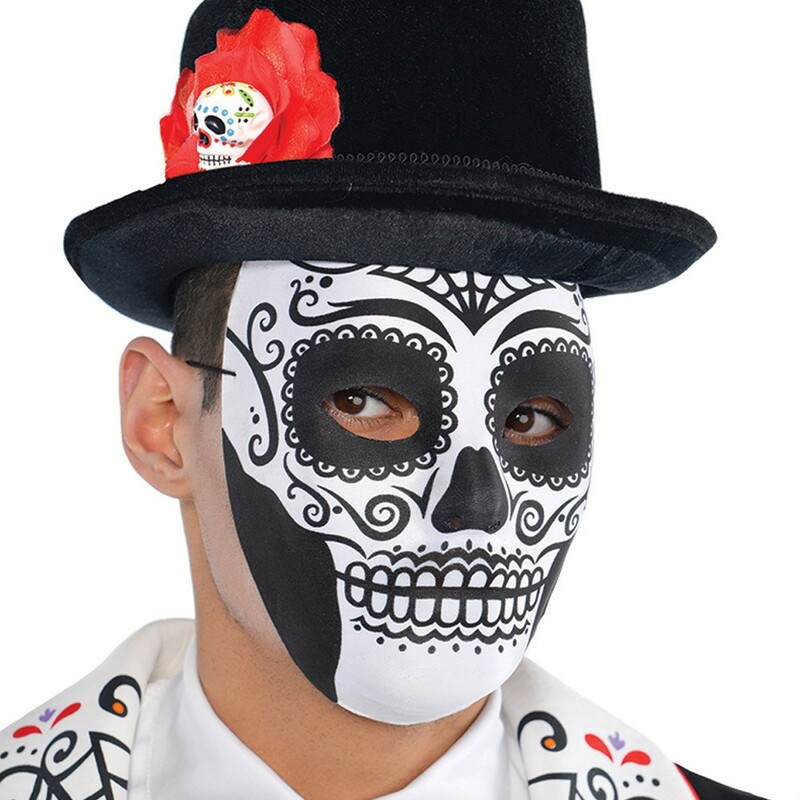 Make sure you look the part with this authentic looking White full face mask accessory, featuring a detailed black sugar skull design, you’ll be sure to stand out! This Day of the Dead Face Mask is lightweight and easy to wear with an attached elastic strap that goes around the head, and measures approximately 22cm by 18cm. Perfect for a Day of the Dead theme, Halloween, or any fancy dress occasion, this amazing Day of the Dead Face Mask will be sure to impress no matter what the occasion! So let the party start in style with this incredible Day of the Dead Face Mask. A Day of the Dead Face Mask.